Glo Nigeria has always been the grand masters of data in Nigeria and they seem not to be dropping on this feat. Their network might be poor but they have some juicy data plans in their pack. 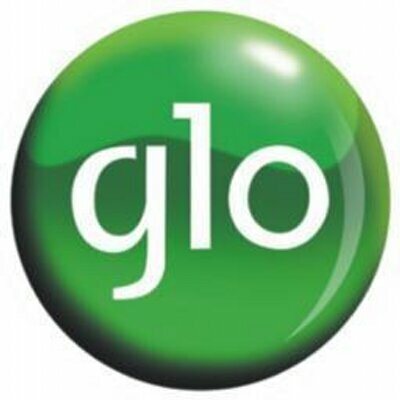 There's a plan of 1GB for ₦200 for one night (12 am – 5 am) with Glo. This is good for night internet surfers as it gives real value for the money paid if efficiently utilized. It might also be a waste if their poor network has it's back against you that night. Dial *127*60# Or SMS “60” to “127” to subscribe. The other night/weekend plans by Glo were discontinued, sadly. As seen in the tabulated presentations above, you can get 15MB for ₦50 which is valid for just a day. You activate this by dialing *127*14#. There are ones for 35MB at ₦100 and 100MB @ ₦200. The first lasts for a day and can be activated by dialing *127*51. The latter lasts for complete 5 days with *127*56# as it's subscription code. The only data plan that lasts up to a week on Glo recently is it's 800MB at ₦500 for 10 days. MTN, 9mobile, and Airtel offer far less than this amount for far less time(usually 7 days). To enjoy this only week-long plan dial *127*57#. These bundles are the ones people do vie for and Glo has made these 30 days bundles completely affordable. There's one that accrues 1.6GB for just ₦1,000 valid 30 days. You can subscribe to this by dialing *127*53#. There's one for 3.75GB at ₦2,000 and 5GB at ₦2,500. This one of 5GB was formerly valued at 10GB for the same stagnated price, but things did change. For firms requiring more data in 30 days, there's one valued 45GB at ₦18,000. Its subscription code can be viewed in the table above. While surfing on the internet, it is recommended you check through your data utilization. To check your Glo data balance just dial *127*0#, Or text “INFO” to 127. Glo has always not disappointed Nigerians when it's come to delivering cheap data to power feature and smartphones, ios and computers - I've seen other telcos disappointing of late. Their network can turn up quite funny when you really need it though. It is the slowest among the other telecom network but quite pocket-friendly. Nigerians are accustomed to multi sim card. If you are a 9mobile active user and really won't get more value from the network. Read on the cheapest tariff plans and call rates this coming december. The ups and downs to their data volume would always be fluctuated to appear same here. Comments are gladly welcomed!